40 min. Dreamscape. 2018. $38.99. ISBN 9781520092546. K-Gr 3—Award winners Laura Amy Schlitz and Brian Floca collaborate on this quirky fairy tale. Princess Cora's daily routine is demanding and dull, with an overbearing nanny who expects her to bathe incessantly to stay clean, a father who obsessively times her as she jumps rope, and a mother who forces her to read dry finance books. "No one listens to me!" laments Princess Cora as she pleads for a dog in a letter to her godmother. A box soon arrives with a pink bow and a big surprise inside: a talking crocodile who states, "I've come to rescue you from your awful parents and mean nanny!" Reluctantly, the princess allows the reptile to don her dress and take her place for a day. Hilarity ensues as the royal couple and the nanny get their comeuppance from the clever crocodile. Meanwhile, the princess enjoys finding adventures in the fresh air. The crocodile completely steals the show, of course, and children will applaud its administration of well-deserved punishments. 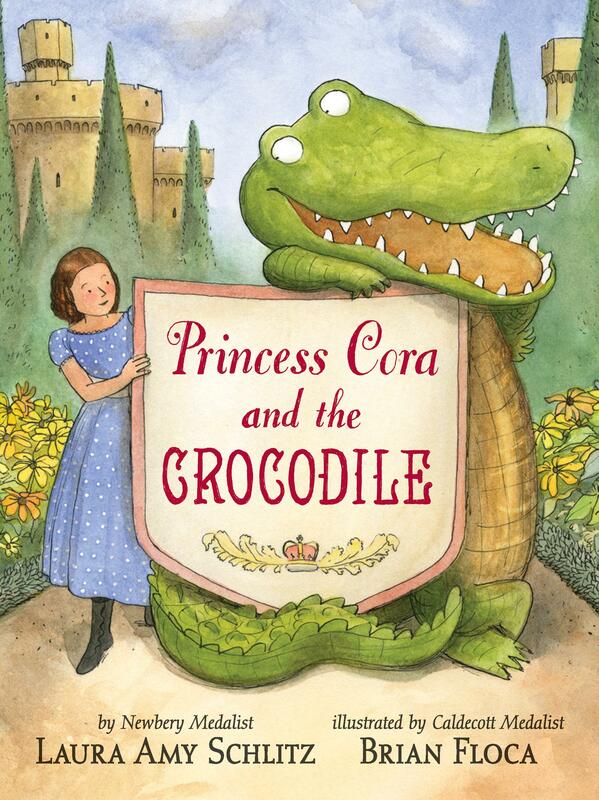 Narrator Angie Kane does a believable Irish accent as the nanny but can't quite bring the crocodile's wit to life. Floca's humorous illustrations rule, and the silliness results in the princess learning to bravely speak up as her parents finally listen to her reasonable requests. VERDICT This DVD would pair well with such books as Tomie DePaola's Bill and Pete Go Down the Nile or Fred Marcellino's I, Crocodile for even more crocodilian amusement.